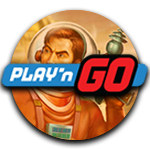 According to their official website, Play’n Go seems to think that they create the most detailed, the most enjoyable and the most innovative slots on the market. Obviously, not every single person will agree on that particular statement, but there will also be plenty of people who share this idea. They are one of the most well-known brands when it comes to online casino games, after all, which is quite the achievement in itself. But are their slots as impressive as those that are made by the likes of Netent, Microgaming, Novomatic and WMS? Like the majority of developers in the online casino scene, Play’n Go is originally from Sweden. They have been around since 1997 and they have made a significant amount of very interesting slots over the years. Granted, they aren’t as flashy or visually impressive as the games that are made by Net Entertainment, Microgaming and Yggdrasil, but that isn’t really the type of quality they’re going for. Because this developer is looking to stand out from the crowd in a different way. Their games are generally quite original, a bit cartoonish and (most importantly) different from everything else you get to see at your favourite online casino. At time of writing, Play’n Go has created well over a hundred different video slots. Those games have been made over a span of many years, so it kind of speaks for itself that they vary quite a bit when it comes to features and animations. But one thing’s for sure: They’ve managed to make quite the name for themselves! Some of Play ’n Go’s most popular slots are Tower Quest, Wild Blood and of course the world-famous Hugo slots. Firstly, Tower Quest has a magical theme with evil wizards and lots of different features. In this game, you can win up to 500 times your bet by making it into the bonus game, you can play a game of cards against the evil wizard and conquer the dark tower, or you can collect enough scatter symbols to trigger your favourite bonus feature. The second game that we just mentioned, being Wild Blood, is based on the immensely popular teenage vampire theme. It will make you think a bit of the classic Immortal Romance slot by Microgaming, while you can win money in many different ways: Pick vials of blood in the bonus game, make use of expanded wild symbols, or grab a prize as the result of a free re-spin. And last but not least, Play ‘n Go is responsible for several different Hugo slots. They are simply named Hugo, Hugo 2 and Hugo Goal, and they are based on the main character from the Hugo the TV Troll television series. This show from the 1990s was made in Denmark, it aired in 40 different countries, and it features a funny little guy who attempts to save his family. And you can now also find him in two prime casino games which are made by this particular developer! Play‘n Go is already responsible for a fair number of popular slots, but there is still more to come. They release new games on a regular basis, which can then be played for real money at many different online casinos. Their Cops ‘n Robbers slot, for example, was released in May 2018, which means it ended up looking a lot flashier than most of their previous games. This awesome 5-reel slot will let you plan your big heist by lining up loot on nine different pay lines. Be the bad guy, crack the safe, and lost the cops in a high-speed-chase so you can end up with a mega big win. Do you want to be a successful robber, of would you rather play another type of game? Because if you are not interested in being a criminal, there are also plenty of other new Play‘n Go slots to choose from, like Legacy of Egypt and Baker’s Treat. Take your pick!